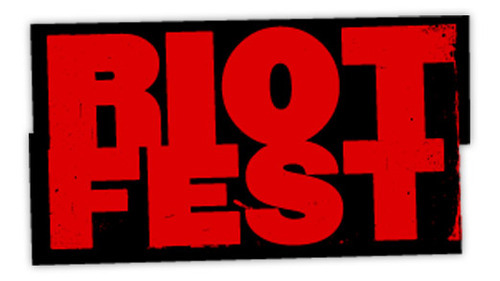 Riot Fest added huge names onto their Chicago dates that include the likes of Pixies, Joan Jett & the Blackhearts, Suicidal Tendencies, Andrew W.K. and many more. The rest can be found below, along with the names of groups that had to regrettably cancel due to unforeseen circumstances. The Chicago portion of Riot Fest will take place from September 13 through the 15 so be sure to grab your ticket packages right here. Under The Gun Review is proud to be sponsoring the entire fest! Pixies, Joan Jett & the Blackhearts, Suicidal Tendencies, Andrew W.K., Hatebreed, T.S.O.L., Off With Their Heads, The Flatliners, Nativ, Hostage Calm, The Interrupters, New Beat Fund and Pet Symmetry. Regrettably, due to unforeseen circumstances, Motörhead, Bad Brains and Attack Attack! had to cancel their performances. Motörhead has postponed their 2013 touring till 2014, so look for them back and rocking Chicago then.